DAYTONA BEACH, Fla. — In Saturday’s ARCA Racing Series presented by Menards season opener at Daytona International Speedway, Rette Jones Racing’s Terry Jones nearly pulled off a stunner victory in the Lucas Oil Complete Engine Treatment 200 driven by General Tire. Jones’s in his No. 30 Buck Twenty / Nortrax automobile took advantage of a strong 12th place qualifying effort to negotiate his way through the field and into the lead on Lap 45 of the 80-lap scheduled race. For the next 25 laps of the event, Jones would keep car out front and in contention while fending off the challenges from behind which included Ken Schrader Racing’s Austin Theriault and the Cunningham Motorsports duo of Shane Lee and Dalton Sargeant. While jockeying with Theriault for the race lead between laps 71 – 73, Theriault would use the advantage of a push and momentum to sneak past Jones’ car. Behind the lead pack, a multi-car accident brought out a caution with five laps remaining. Previously Jones’ earned his last top-10 performance with an eighth place showing at Daytona in 2014 driving for Win-Tron Racing. “I had an absolute blast out there,” said Jones. “I knew from practice we had a good car, just needed a little luck to get to the front and stay there. “I was really hoping for some rain, but it never could materialize enough to end the race. Still, I’m so proud of my teams and guys for their hard work. From Daytona, Jones will appear at New Smyrna (Fla.) Speedway Sunday night to cheer on his Rette Jones Racing teammate and protégé Tyler Dippel who will make his RJR debut in the NASCAR K&N Pro Series East Jet Tools 150. 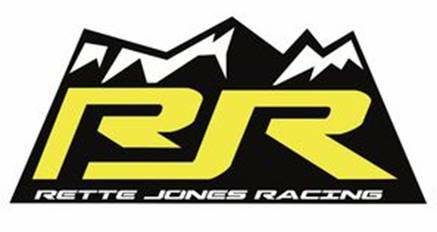 Headquartered in Mooresville, North Carolina, Rette Jones Racing (RJR) was founded in 2015 with the intent of building a successful racing operation built around the fundamentals of hard work and a never give up attitude. Owned by racers Terry Jones and Mark, RJR will field one full-time entry in 2017 in the NASCAR K&N Pro Series East with Tyler Dippel, while also fielding a partial entry in the ARCA Racing Series presented by Menards and NASCAR Camping World Truck Series (NCWTS).